Wardrobes can be frightening places if we let them. Sure, they’re just there to store your clothes, shoes, hats etc. But let’s be real, they’re so much more. Your wardrobe is the place you go first thing in the morning to choose what image you’re going to put out to the world. It’s the place where you know you’re comfy pj’s are waiting at the end of the long day. Or THAT dress when you’re getting ready to hit the town. Your wardrobe is – like your home and all of your possessions really – a reflection of how you view yourself. And at times we can look at our wardrobes with feelings of shame,disgust and – my personal favorite – crippling indecisiveness (this happens to me about once a month, ladies, you know). So what has my wardrobe been reflecting lately? Well, until recently, if you looked at my wardrobe, Brenda Fricker in Home Alone 2 probably would have sprung to mind. What is a Capsule Wardrobe? It’s simply a wardrobe which contains only the items of clothes you wear on a daily or weekly basis. But…how do I decide which clothes I regularly wear? I can barely decide what to wear to work! Be ruthless. If you haven’t worn it in 2 weeks, you don’t wear it regularly in my book. I didn’t include shoes, PJs or sportswear in my cleanse but it very quickly became clear which clothes just should not be in my home any more. So I took an hour out of my weekend, dumped the contents of my wardrobe on the floor, blasted some Justin Bieber (I’m not even sorry) and sorted all of my clothes out. I came out with one bag of seasonal stuff and two whole bags for charity! It takes me less time to get ready in the morning. I like what I’m wearing more because the only clothes available to me are clothes that I regularly wear and definitely adhere to my style. My wardrobe has stayed neat and organised because I feel more neat and organised! I feel like I really know what I need to add to my wardrobe now that I’ve gotten rid of all of the clutter. I generally feel that bit more positive because that’s one aspect of my life that I just feel on top of! I know I usually post about health and fitness here but this is one change I’ve made recently that I thought was well worth sharing. So, if your wardrobe is getting out of control (or maybe it’s your kitchen cupboards, or your bathroom press etc.) capsule that sh**! Is it just me or does there seem to be so much going on after holiday lull that no one was ready for? There was the public outpouring of sorrow and reminiscences following the deaths of David Bowie and Alan Rickman. Tim Peake’s space walk again capturing our imagination. And, at least in my own circles the engrossing, maddening and at times heartwarming viewing that is the Making a Murderer documentary series on Netflix. Yep,it’s been an emotional roller coaster of a week – and that was just on the telly! I saw this in a Facebook comment and had to share – hands up if this was you after watching Making a Murderer! Work has been fairly intense with a lot of early starts plus my boyfriend’s band played their final gig together on Thursday night. It was a great set and there was a really positive vibe with everyone there. But it did go on quite late. Having to do a presentation first thing the next day wasn’t exactly ideal but I got through it and am really glad I was there to watch the guys the night before. Needless to say though, I was ready to chill out come 4:30pm on Friday! I’ve found this week that it’s been the little things that have gotten me through healthwise. Monday night saw me go on a bit of a YouTube binge and watch a bunch of Madeline Shaw videos. I’d read her book before Christmas which I’d mentioned in an earlier post. I wouldn’t say that I was all that gone on her entire diet plan but the quick tips and ideas she offers are really useful. For example I’ve been taking her advice and hydrating first thing in the morning with water and salt and giving myself a bedtime routine (hand cream massages are a total winner). Plus I just like her style in general. Her enthusiasm about coconut oil is just heart warming and I like that she doesn’t mind that her kitchen table is a little messy when she’s doing a cookery tutorial. Because we can’t all have those blindingly white kitchens – even if she does have a very farm chic Aga – I feel that Madeline emanates a chilled and accepting vibe which I’m very much in favour of. Money is always so tight in January and health conscious food can be on the pricey side. I found that stocking up on plenty of fresh fruit throughout the week has been a way of giving myself a boost in the snack/breakfast department without making an impact on my bank balance! Buying a big bag of kale and mixing it up with fresh orange juice and lemons or blending a delicious apple and pear with some cinnamon and honey have made for simple but effective ways of getting nutrients into my diet when I’m just in the door after a busy day. I went on a slow paced 3.5 mile night run on Tuesday and then a 2 hour walk in the glorious snow on Saturday afternoon. How good is snow?! It was like stepping into Narnia! Everyone in my area were out on sledges and Chris and I had a constant snowball fight the whole time we were out. Not my best week for exercise but with a gym class planned for today that’s 3 solid workouts of varying degrees which I’m pretty happy with. After any snow day or cold weather in general, a Madeline inspired non dairy (oat milk in my case) cinnamon hot cocoa is definitely a good shout! Thinking about the little things like getting the fruit and veg in, staying hydrated and getting outdoors have kept me in good form all week – in spite of some late nights and an aforementioned compulsive tv documentary which had me shouting at the television more than usual! Have you been shouting at any appliances this week? Do you have any tips for running in the snow? Because I think it’s here to stay! Christmas…I spent Christmas with my family. I played some charades, ate great food and caught up with old friends. I had a wonderful time and I hope that your did too. New Years…New Years Eve involved an escape to Stirling with my boyfriend and an adorable Bed and Breakfast stay with the kindest hosts. We had dinner, got drunk , laughed a lot and watched the fireworks over the castle. It was the perfect place and the perfect company for new beginnings. Aaand Back to Reality…I went back to work on Tuesday, this week has been long and tiring and yeah I totally wallowed in it – I hope that you were more successful than me! Okay so now that that’s covered, let’s talk about what’s next. I have a slightly different approach to my New Year plans for 2016. I find the concept of New Years Resolutions a bit archaic. The idea stems from ancient religious practices and as positive as I’m sure they can be, I can’t help but link them to some deep seated guilt or self loathing that we’re meant to feel about ourselves which impels us to try to change who we are to be “better”. I mean, thinking about plans and goals is always a good idea. But rather than try to do something new and change myself (because no one needs to do that, we’re all fine) I want to enrich and build on what I already have. One of the main skills I learned in 2015 was Project Management and how to really deliver on a goal. With this in mind I’m giving myself an achievable monthly To Do List to feed into a larger plan for the year. Because who doesn’t love a good To Do List?! Try homemade Thai food: my boyfriend got a Thai recipe book for Christmas so what better month to try some new recipes than January: when you are constantly forced inside due to poor weather and a lack of money! Capsule wardrobe: I overhauled my wardrobe last weekend and created a capsule wardrobe after reading so much about it on other blogs. And also because with 2 trips away over Christmas my wardrobe had become insane. Something had to be done. After a week of this I can say it works! There is a lot more clarity in my wardrobe right now (phew!). I plan to keep this up throughout the month. To find out about capsule wardrobe this blog post is a great guide. Go to One Gym Class Per Week: okay I’ve been doing this anyway but I want to stick with it! Make my Instagram beautiful: I want my Instagram account to have more of a themed vibe this year showing positive healthy imagery. Rather than spam people I know with blog promotions and a thousand hashtags I took the decision to just set up a separate Instagram account for this blog so that people could follow me because they were interested in health and fitness. If you’re interested in this sort of thing, you can find me here (oh and I’ll totes follow you back). So that’s me, short and sweet. 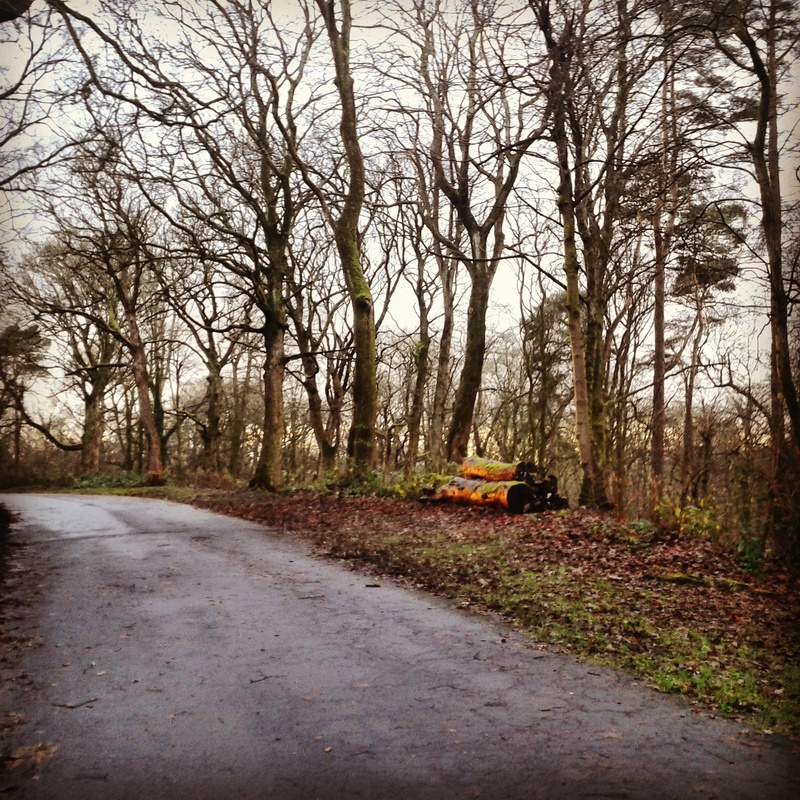 What about you – are you bothered with New Years resolutions this year? Leave a comment below, I love to get them! Brrr! December is certainly living up to it’s seasonal reputation – it feels like I’ve been in a permanent state of wet feet and red nose for weeks! Not only this but with all of the festive merriment going on, our health and fitness priorities have a little habit of going out the window don’t they? I’ve been thinking about what’s been keeping me motivated lately and thought I’d share it here. Get Yourself a Buddy: I’ve said this before and I’ll say it again, having a partner in crime is a must if you feel your will power slacking. I recently joined the same gym as one of my friends. Having someone there who to laugh through the pain of Pure Abs with made the torturous nature of side crunches just that bit more bearable. Even if we’re not going at the same time, it’s good to be around people are are pushing toward similar goals to you. So look at who’s around you and encourage each other in these dark days of Winter! Do Something For a Good Cause: There are tons of sponsored walks, runs, hikes, swims and dives at this time of year for so many good causes. Although Winter events tend to have a higher risk of cancellation – which myself and Chris fell victim to a couple of weeks ago when our BHF 10k was cancelled due to course flooding- when they do go ahead it’s a great day out. 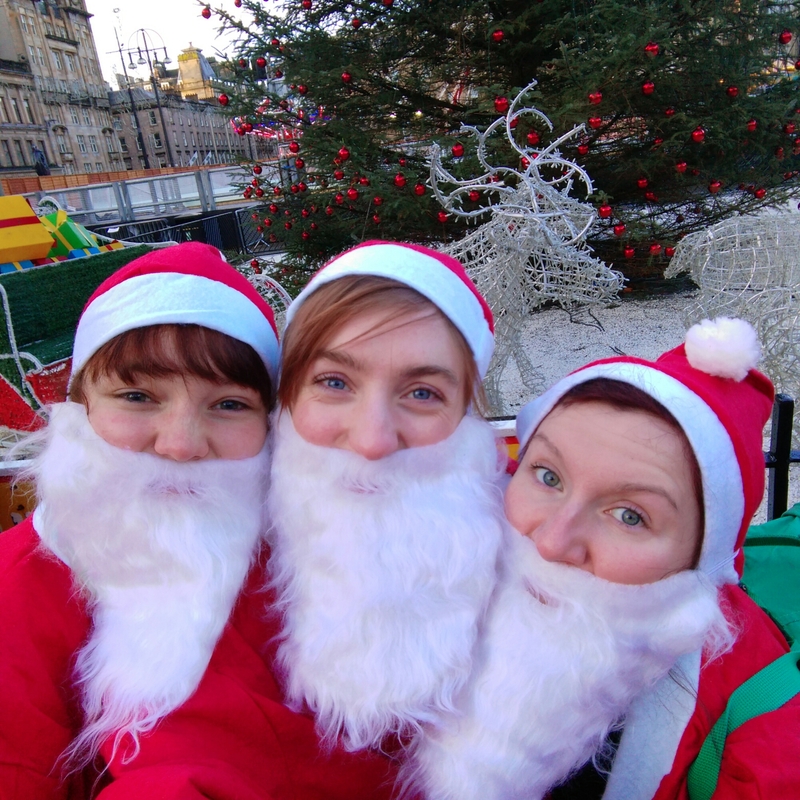 I ran the Glasgow Santa Dash 5k in aid of the Prince and Princess of Wales Trust Glasgow 2 weeks ago. 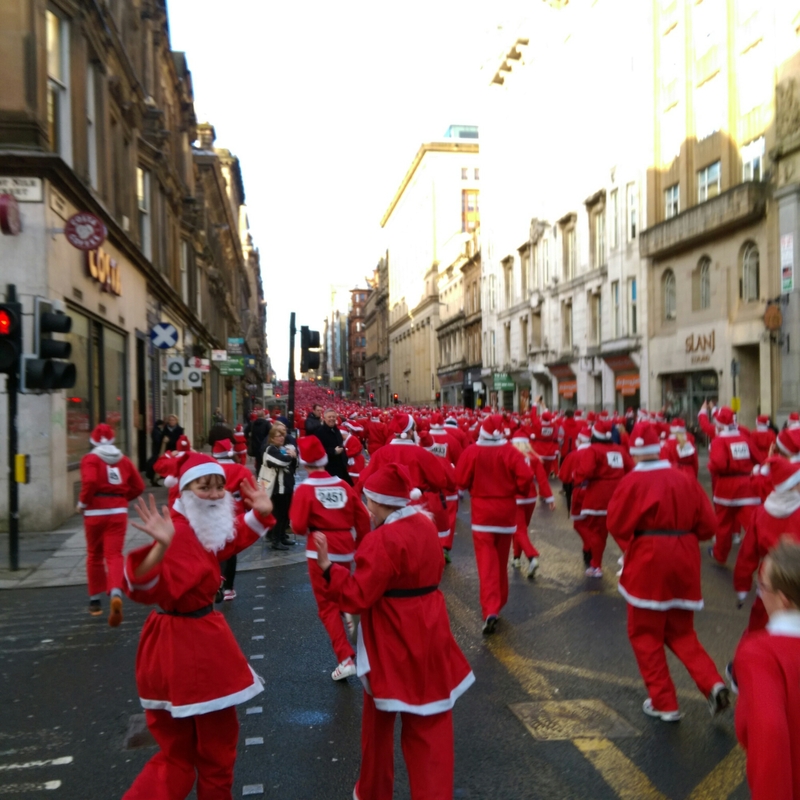 It was a fantastic event with Santas of all ages – and a couple of dogs disguised as Reindeer – running through the streets of Glasgow on what was a beautiful mid Winter’s day. With all of the parties and days out this season, you could do worse than having a day out in the fresh air planned where you can meet people and generally have a bit of good clean fun. It’s great for the body, soul and you’re helping someone who needs it! 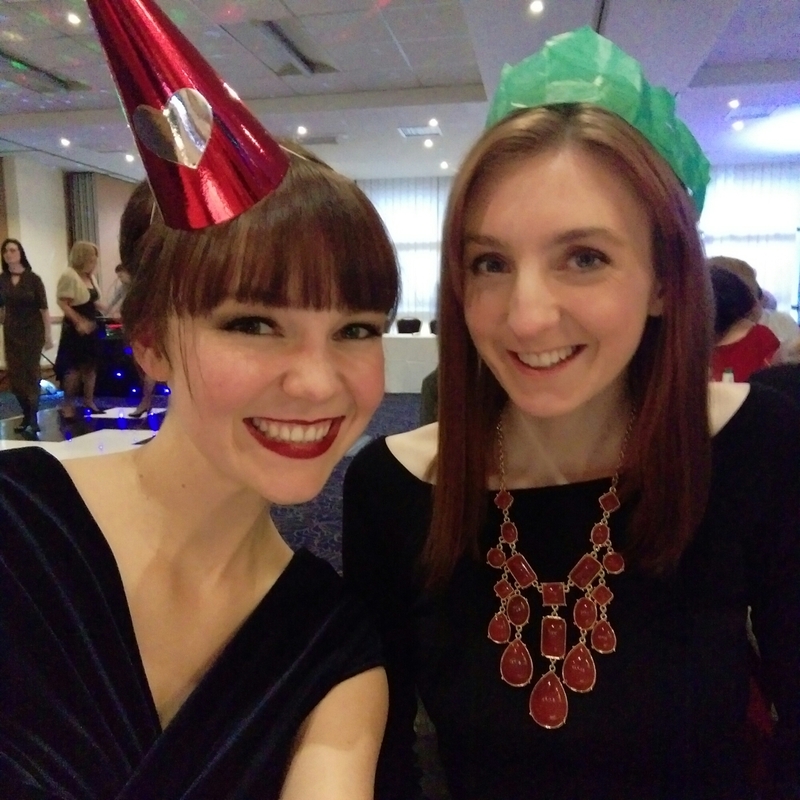 You Don’t Need To Party All Night: I love a good night out but with the sheer amount of Christmas festivities right now I’m finding it impossible to have a late one every time! When I went out the pantomime last week it was a great night but I decided to take the last train home instead of face the queues in the cold for a taxi later. Committing yourself to public transport or a lift home may not be as glamorous but for some reason I enjoy the night more when I do it! Plus you can get a cheeky hot chocolate on the way back too if you’re hear a late opening Greggs too! Win win . Beautiful days can be few and far between so if you see one get the runners or walking boots on! Even in the depths of Winter nature is beautiful especially covered in frost and lit by pale sunlight. Dress warmly and make sure your footwear has good grip. It my be an antiquated notion and I do think gyms are great but you can’t beat some fresh air especially in these dark days. Good morning! You know I write my posts in advance but I can safely predict that by now I’ll have jumped out of bed in my minion pjs and headed straight for my Peppa Pig advent calendar (random purchase from the other half) for a little pre brekky chocolate. 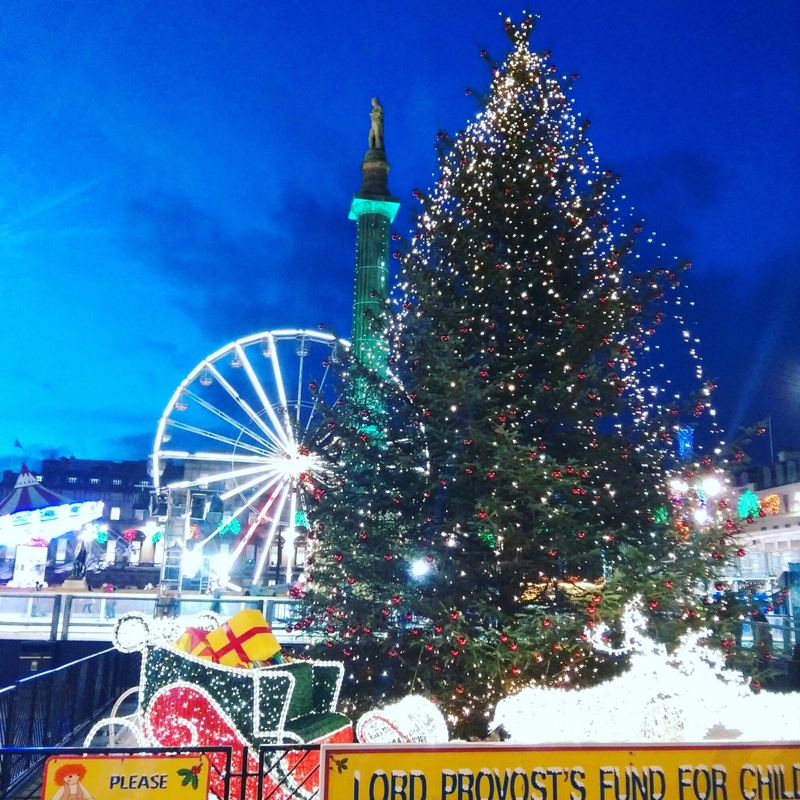 Yep, we’re definitely into the festive season! This is a time of year to indulge, treat yo’ self, and live for the moment. So why am I writing about how I gave something up? Well, I figured that this is just the time to have some real talk about sticking to your guns without actually denying yourself the little pleasures in life. Way back in July – ah July, remember the sun? Or more appropriately: slightly warmer rain? – I took the decision to cut caffeine out of my diet entirely. There were a number of reasons for this which I posted about here. I’m proud to say that I’ve managed to stick with it since then. But it wasn’t easy. Just to confirm, when I say I gave up caffeine I mean that I gave up drinks with high caffeine content: regular tea, coffee and cola. I’m not strict enough to cut out coffee flavored things or to remove things like green tea from my diet which has a very low caffeine content. Unfortunately I can’t say that I had a trick or great cheat for giving it up. I had to just use my will power. It was bloody hard at times if I’m honest. I found that the most helpful thing was to be kind to myself. Treating myself to a little hot chocolate on the way into work, and getting some really good herbal teas made substituting coffee and tea and thing of luxury. Sure a box of fancy tea is more expensive than the regular stuff but hey, I was making a saving on coffees on a daily basis, so why not? Having some healthy snacks in my bag like bananas and oranges were another handy way of keeping my energy up without coffee and tea. The thing about giving up caffeine is that, at first you think you’ll be exhausted forever. The fact is, after a couple of weeks my sleeping pattern had normalised. I was sleeping in a meaningful way and I’m more rested and alert in the mornings now. With the amount of dairy and sugar I was removing from my daily intake, my skin began to improve. I started to feel like I had more energy. Real energy from real food and not an artificial boost. Don’t get me wrong, I don’t think that coffee is the devil or anything. It just wasn’t working for me and I’m a lot happier and healthier without it. If you’re coming into the festive season and are worrying about losing sight of your commitments, don’t. You might not be tempted, or you might have a moment of weakness. My advice is that if you want to indulge yourself do it with something you’ll really enjoy. For me, that means not feeling guilty later. So if you are cutting something out, just be honest about what’s achievable for you, remember to try and if you do over indulge, forgive yourself!